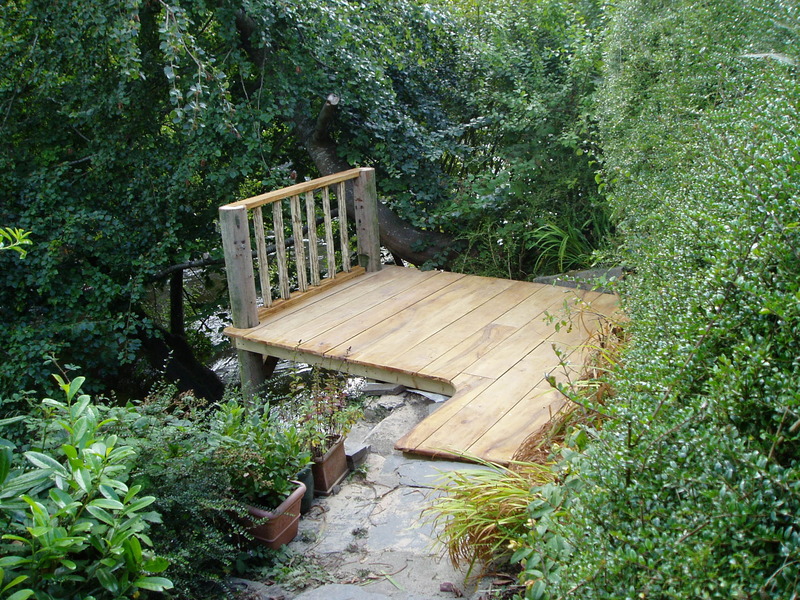 The most unpromising areas in a garden can often be used to its best advantage. 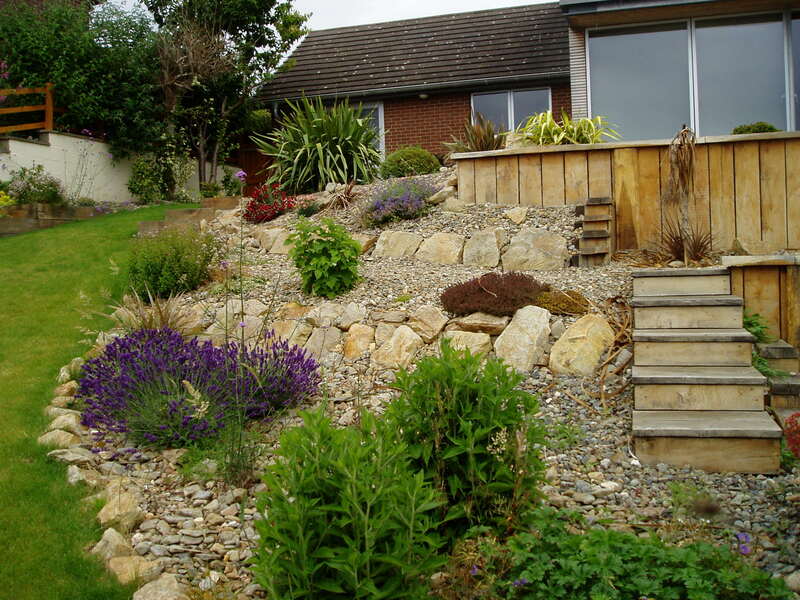 Unusable steep slopes, streams, boggy areas – all of these can be transformed into stunning garden features. 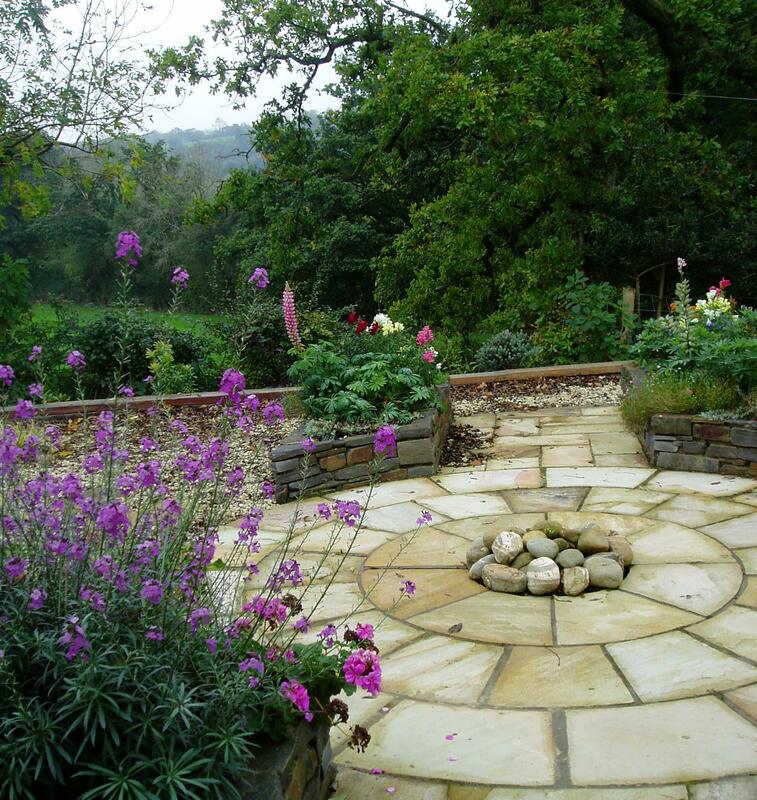 Our clients loved gardening and their garden was a carnival of colour and scent, but it was becoming increasingly difficult for them to maintain it. They wanted to be able to access the steeper parts of the garden safely but keep the planting areas as large as possible. 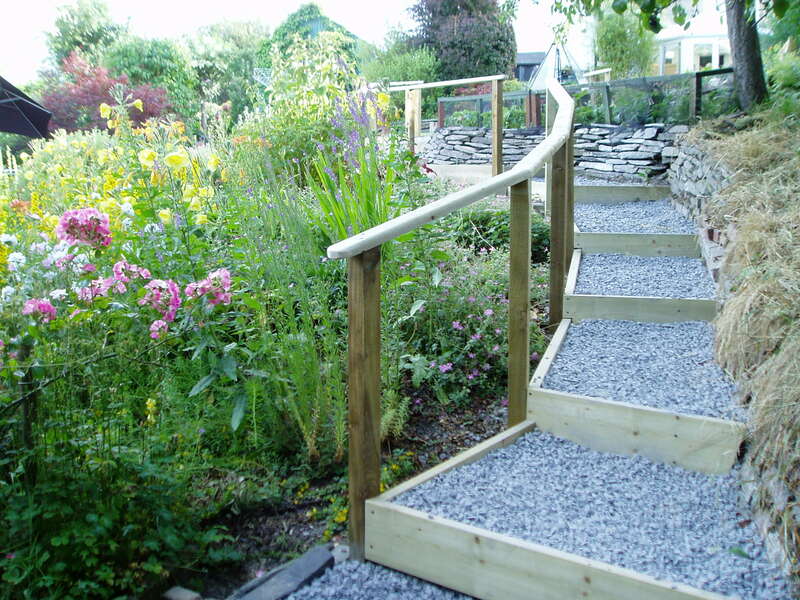 These simple, sturdy steps linked to a central path were the perfect solution. 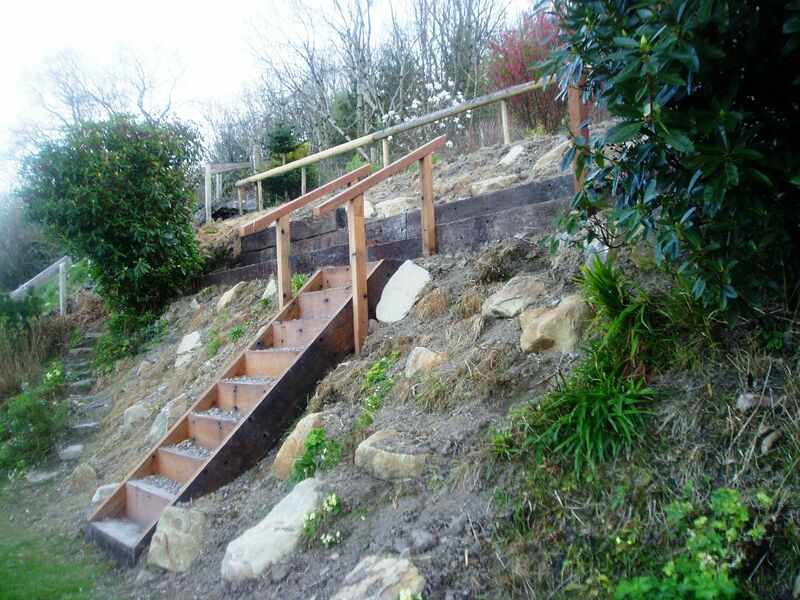 This steep grassy bank was impossible to access or maintain until we cut steps, terraces and a walkway. There was no access here for machinery, so every one of these hardwood jarrah sleepers had to be carried into the garden by hand and a ton of gravel was carried in with buckets. Within a season, the garden was full of flowers and insects. 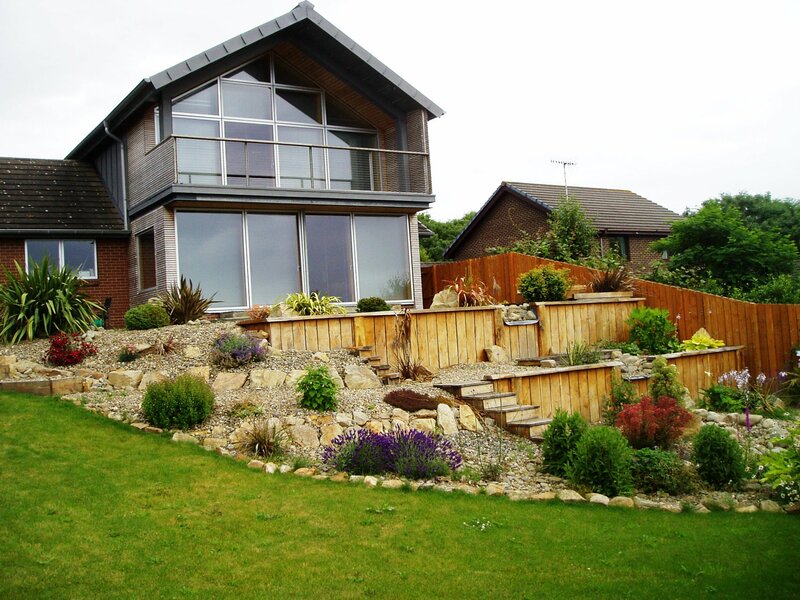 This steep, windswept coastal garden needed a lot of imagination to explore its full potential. We designed terraces, a pond, a waterfall, a bridge and a rich planting scheme including vines and a fig tree, both of which are still fruiting prolifically today.